Freelancer (Freelancer.com) Review: Can You Really Make Money? You are welcome to my Freelancer (Freelancer.com) Review! Writing online is a multi-million dollars business, and I know you are here definitely because you are not sure if the freelancer is a good platform for you or not. You may also be wondering if you can make money writing on Freelancer.com. Or, Is Freelancer (Freelancer.com) a scam? What is Freelancer.com About, Exactly? Freelancer.com is a marketplace where potential employers can hire freelancers from all over the world to do work in areas such as software development, website development, designing, data entry, writing, engineering, science, accounting, legal services, and sales and marketing. Freelancer.com is the largest freelancing and crowdsourcing marketplace in the world by the number of projects and users. It connects over 26 million employers and freelancers from over 250 countries. The company was founded in 2009 and until now it has acquired several freelancing marketplaces across the world such as GetAFreelancer.com, EUFreelance.com, LimeExchange, Scriptlance.com, Freelancer.co.uk, and many others. Freelancer.com is a freelancing website which offers tremendous advantages and represents an attractive alternative to the traditional job? You can work from home or from a remote workplace to complete the task at the time, which is most convenient for you. You can work when you are most productive or even can work with young children. It provides the flexibility of working hours, and you can control the workload. When you are working on Freelancer.com, you are not geographically confined and can connect with people all over the world. When you work on these kinds of sites with time, you will be able to develop the new skills. The website also helps you to maintain a work-life balance. What Products Does Freelancer.com Promote or Sell? Freelancer.com is a marketplace where employer and employee find each other. On Freelancer.com employer can post the work for site members or freelancers. Freelancers have to place the bid for the projects or tasks, and the winner will get the chance to work on the project. After the successful completion of the project, the freelancer will get paid. Employer and freelancers have the option to write the reviews for each other, which can be seen by anybody on the platform. Employers can post the job for free, but the freelancers have to pay a fee to freelancer.com. The fees can be variable or fixed according to the type of the project like 3% of the project cost or $ 3 whichever is higher. Freelancer.com also offers paid membership plans which provide access to additional features of the website. These advanced features will help you to establish your presence and increase learning opportunities. Professional– The subscription starts at $29.95/month. You can also enjoy a one-month free trial of the professional plan. Every membership plan has its range of benefits like the increased number of bids, faster replenishment rate, project bookmark, access to the reward feature. Freelancer.com is not a scam but an excellent business opportunity for those who want to earn from home. With the help of this platform, you can get several projects and can make money online in the comfort of your home. When you are working as a freelancer, you will get the freedom to choose the work you want to do and time when you are most productive. You don’t have to get ready for the office, and it also saves commuting time, fuel expenses, parking expenses, etc. So you save lots of your valuable time every day which you can use to work as a freelancer. Writing on Freelancer.com Can NOT Make You Good Money. Check Out My #1 Recommendation to Earn a Good Full-Time Income Writing. After successful completion of the project, the freelancer will get paid. Some employers decline the project just for the sake to get the work for free. There is no solution to these kinds of issues. Freelancer.com is a marketplace which connects prospective employers to the freelancers from all over the world? So basically it is a platform where employer and employee find each other. On the freelancer platform, you can work on part-time jobs, fixed projects, short-term projects, long-term projects, and hourly jobs. The employer sets the rules and deadlines of the projects, and the freelancers have to complete the task accordingly. You can do anything you are good at on Freelancer.com; there are several jobs offered at Freelancer.com. It all depends on your area of gifting and what you are good at. It is a win-win situation for both employers and freelancers. Employers get the job done, and freelancers make money by working online. This is one of the best ways to make money online, in fact, the best way ever to earn passive income online. Many Web sites just like Freelancer.com have affiliate programs where they pay commission for every member you invite to their platform. Freelancer.com will also pay you for promoting and inviting both clients and freelancers (workers) to this platform. The good thing about having your website is that you can even start promoting other great marketplace and businesses online for a commission. Affiliate marketing has come to stay, and people are making a lot of money daily. You can learn how to be a great affiliate marketing, and you can start promoting anything you choose to. Many will advise you to go for your passion (what you are good at); Mark my friend is currently blogging about how to make money playing video games online. So what do you think of my Freelancer (Freelancer.com) Review? 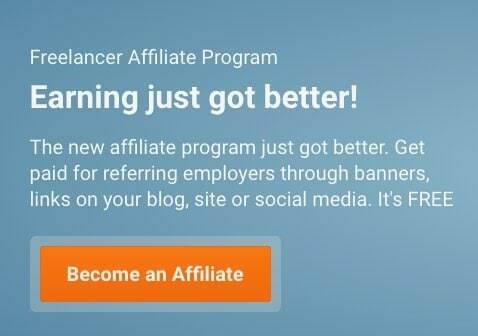 There are lots of claims that people are making money writing on Freelancer.com. The question you should ask yourself is this: Can you also make good money with Freelancer.com? I believe you can decide now if this is a great platform for you or now as a freelancer. I hope by now you can now answer this question with a lot of confidence. You must know that Freelancer.com is a legitimate website which provides the opportunity to work online from your preferred location. You can make much money promoting both and other websites with your website. Making money on your site is the best thing that can ever happen to anyone, most especially if you like the idea. Won’t you like the thought of making over $20,000 monthly online? This is real and possible, and a lot of affiliate marketers around the world are making a killing daily online. What do you think of my Freelancer (Freelancer.com) Review? Are you making money writing on Freelancer.com? Kindly drop your thought in my comment area below. SVMOSCOW Review: Is It A Legit Concept Store Or Scam? MMM Global Review: Can You Ever Make Money?